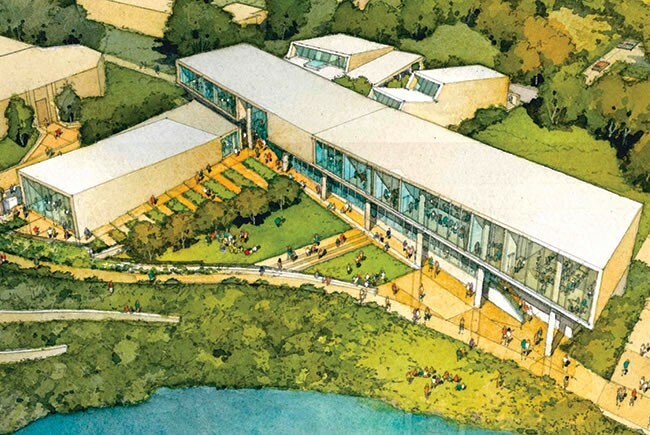 The new SPC Bay Pines STEM Center on 40 acres of wetland provides unique learning opportunities. 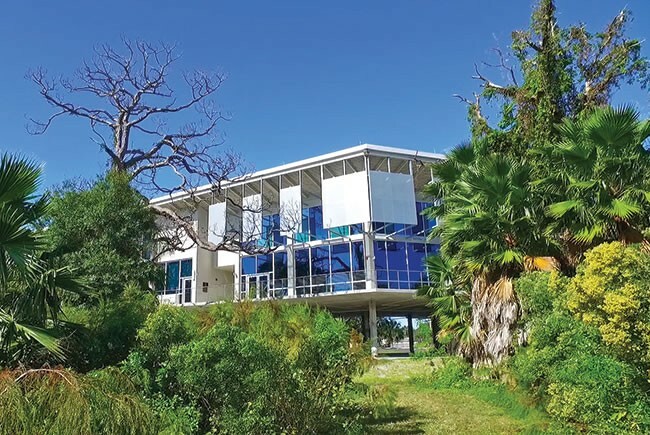 Eckerd College recently constructed a 33,000-sq.-ft. Center for Visual Arts. Pinellas Technical College trains about 5,000 full-times students at any time in a range of 60 programs. About 60% of adults in St. Petersburg have some college education, and 30% hold bachelor’s or master’s degrees. Roughly 110,000 people pursue higher learning each year in St. Petersburg. St. Petersburg public schools are operated by the Pinellas County Schools District. They are a combination of specialty magnet and fundamental schools with more traditional neighborhood zoned schools. In addition, the county at large has excellent charter schools and more than 100 private schools, including some of the nation’s best. Though the city does not oversee the public schools within its boundaries, local businesses and parents play an increasing role in supporting and improving them. For example, the mayor’s St. Pete’s Promise program was recognized by Colin Powell’s America’s Promise Alliance as one of the nation’s most successful community-based programs in improving graduation rates. Friends of North Shore Elementary, a parental group, has helped elevate the school’s ranking through increased involvement and supplemental funding for supplies, after-school activities and property improvements. The University of South Florida St. Petersburg, the USF College of Marine Science and Johns Hopkins University School of Medicine are all part of a growing 52-acre campus on the southern edge of downtown St. Petersburg. 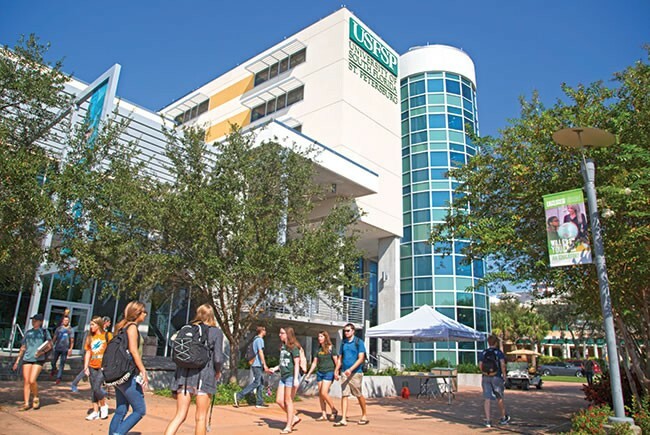 USF St. Petersburg, independently accredited within the USF network, had about 5,000 students in 2017 seeking bachelor’s and master’s degrees in everything from biology to psychology. It offers 35 degrees. Most notably its new, state-of-the-art Kate Tiedemann College of Business gets high marks and unites academia with the business community. The USF College of Marine Science is an international leader in oceanic research. Its faculty and students study everything from fisheries to hydroelectricity to climate change. It offers undergraduate and graduate degrees. Johns Hopkins Medicine comes to St. Petersburg via Johns Hopkins All Children’s Hospital, which is adjacent to the university campus. A teaching hospital, in 2017 it had a class of 38 pediatric residents and 58 from USF Health. In addition, Johns Hopkins is developing a new medical research and classroom facility near the USF St. Petersburg campus that will be shared with medical students of USF Health. A private, liberal arts college on Boca Ciega Bay, Eckerd College annually produces an impressive class of graduates in a variety of fields, but most notably in marine and environmental science, creative writing, international relations, and foreign affairs and management. Its undergraduate marine science building is considered one of the nation’s best. Its student to teacher ratio is 12 to 1, and 40% of its graduates go on to pursue advanced degrees. The oldest law school in Florida, Stetson University College of Law is also one of the nation’s most respected. U.S. News & World Report ranked it #1 in trial advocacy and #4 in legal writing. 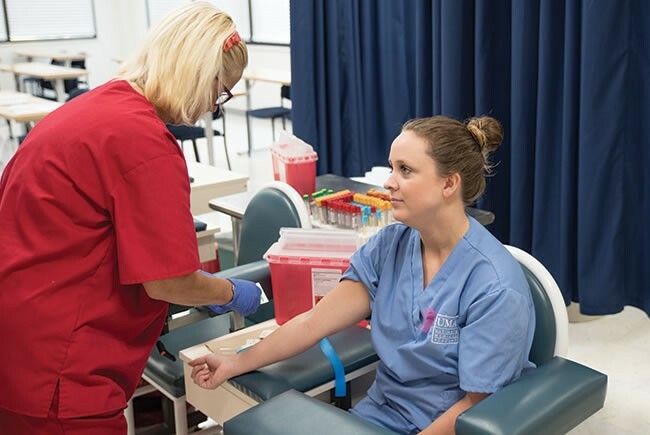 Part of Florida’s State College System, St. Petersburg College (SPC) offers certificate training, two-year associate degrees and four-year bachelor’s degrees. In 2017, more than 48,000 students were enrolled in courses. SPC plays an important role in local workforce training and has 10 campuses in Pinellas County, four of which are in St. Petersburg. Among its more recent endeavors, SPC teamed with the Tampa Bay Technology Forum to train local residents in technology fields and connect them with local employers. The new program will serve more than 125 students and 100 employers in its first year. Ultimate Medical Academy (UMA) was founded in 1994 as a non-profit with a single campus. It is now a comprehensive health care educational institution with a national presence. Headquartered in Tampa, with an additional campus in Clearwater, the school has supported more than 30,000 students through graduation and beyond. 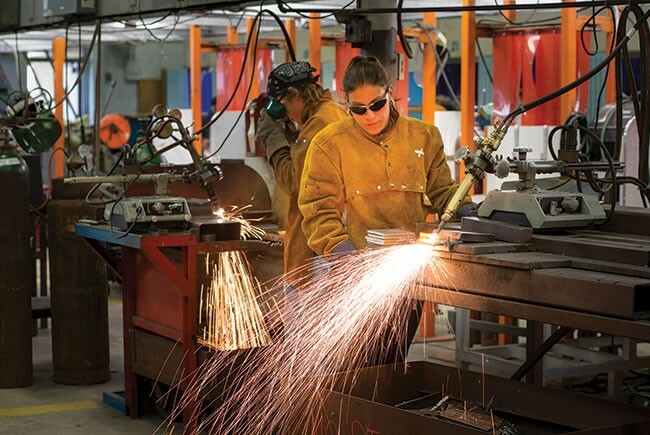 Pinellas Technical College (PTEC) with campuses in St. Petersburg and Clearwater trains about 5,000 full-times students at any time in a range of 60 programs. It partners with about 250 businesses and industries to ensure that students are learning needed skills. The Pinellas Job Corps Center helps connect residents with educational resources whether they seek language or life skills, technical training or a college degree.